My life. My way. My terms. Period. It’s that time of year again! If you live in Toronto then it is time to make reservations at your favourite restaurants, or the ones you really want to try! The Summerlicious and Winterlicious programs are produced by the City of Toronto. The Licious programs began in 2003 as a way to boost Toronto’s restaurant industry during typically slow periods of business. In the years since the programs’ inception, participating restaurants have served 6.2 million meals during the promotion periods, generating more than $275 million in economic activity for the local restaurant industry. The Licious programs were ranked in the top three all-time favourite festivals, fairs and events in Field Day’s fourth annual Toronto entertainment survey. Toronto is Canada’s largest city, the fourth largest in North America, and home to a diverse population of about 2.8 million people. It is a global centre for business, finance, arts and culture and is consistently ranked one of the world’s most livable cities. For information on non-emergency City services and programs, Toronto residents, businesses and visitors can visit toronto.ca, call 311, 24 hours a day, 7 days a week, or follow us @TorontoComms. Details about Winterlicious are available at toronto.ca/winterlicious. The Winterlicious 2017 exclusive Culinary Event Series features nine one-of-a-kind cooking and dining experiences hosted by some of Toronto’s finest venues and chefs. Tickets for the nine culinary events, listed here, make exceptional holiday gifts and go on sale today. More information is available at toronto.ca/winterlicious. More than 220 restaurants city-wide are participating in the Winterlicious Prix Fixe Promotion. Three-course prix fixe lunch menus are priced at $18, $23 and $28, and dinner is priced at $28, $38 and $48. Restaurants start accepting reservations for the Prix Fixe Promotion on January 12, 2017. Reservations are strongly recommended and are to be made directly with the participating dining establishment. A complete list of participating restaurants is available at toronto.ca/winterlicious. ESKA Natural Spring Water continues as the official water sponsor of the event, featuring both still and sparkling water at select restaurants. The latest Winterlicious updates are available at toronto.ca/winterlicious or via social media: Twitter (@LiciousTO and #LiciousTO), Instagram (instagram.com/liciousto) and Facebook (facebook.com/LiciousTO). 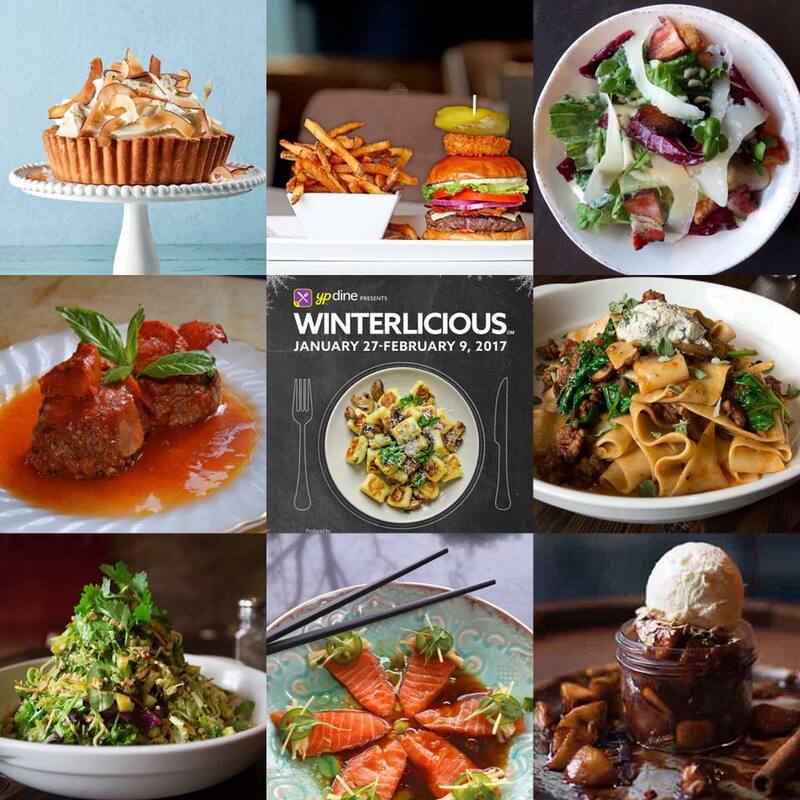 Hey Buddy!, I found this information for you: "Winterlicious is back! #Winterlicious Jan 27 to Feb 9". Here is the website link: http://shesinfluential.com/2017/01/28/winterlicious-is-back-winterlicious-jan-27-to-feb-9/. Thank you.